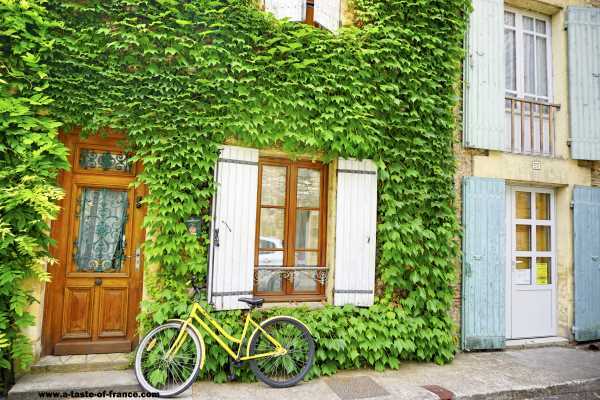 Beautiful two bedroom apartment in the heart of the midi Pyrenees. 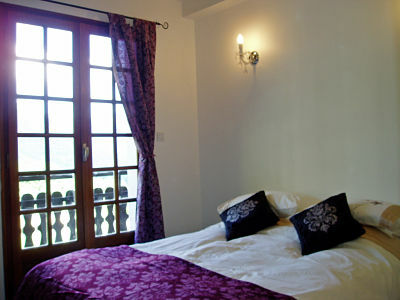 The apartment is 61 sqm with balcony and south facing terrace. There is a double bedroom with french windows on to the balcony and an en-suite shower room (shower, toilet and wash basin). The second bedroom currently has two single beds but could also accommodate a double bed and has built in wardrobes. The hallway has a second shower room (shower and wash basin) and separate toilet. 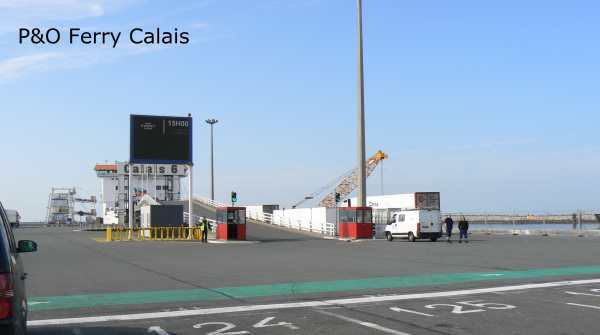 There is a large lounge/dining area with televion and two sets of french windows - one opening onto the balcony and the other on to the south facing terrace (with garden table and chairs). The separate kitchen is fully equipped with full size oven, hob, extractor hood, fridge, dishwasher and there is a washing machine in a cupboard in the hall. 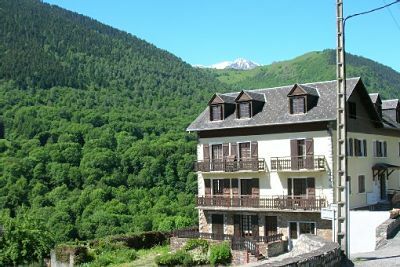 The apartment building was once Hotel Esquerade just off the Col de Peyresourde (a favourite col of the Tour de France) and is situated 5km from Bagneres de Luchon the 'Queen of the Pyrenees' and the ski resort Supberbagneres. It is also only a 15 minute drive to the ski resort Peyragudes, famous for being part of a James Bond film!!! The views from the apartment building are outstanding. The apartment spec is high quality. The owner having many extras (eg tiled floor, fully fitted kitchen) added to the design when they bought it off plan. Currently the apartment is a holiday rental with repeat bookings and so if you wish, this could continue giving valuable income towards costs. 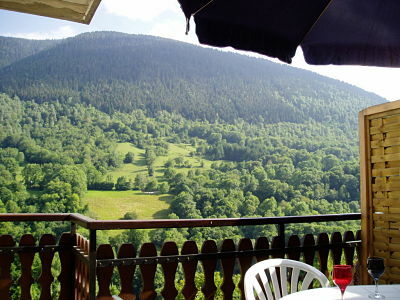 Current rental starts at 300 euros in low season to 525 euros in high season per week. 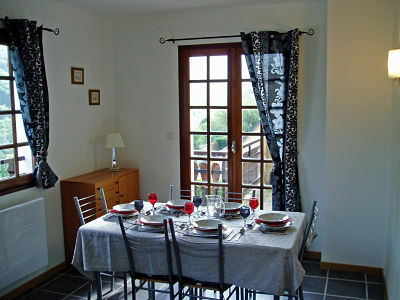 The owners live 30 minutes away in a small village and know the area very well.